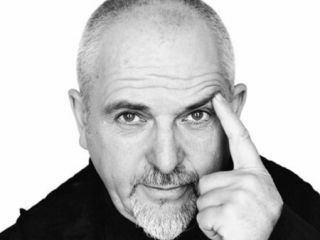 Peter Gabriel has pulled out of a scheduled performance at the forthcoming Academy Awards ceremony, set for 22 February, in protest of a time limit imposed upon him. Originally, Gabriel agreed to perform the Oscar-nominated song Down To Earth (which he co-wrote with Thomas Newman), used in the film Wall-E, under the impression that he would be singing the number in its entirety. But when the singer learned he would be performing Down To Earth in a 60-65 second medley of the nominated songs, he found the time limit unacceptable. Speaking in a video posted on his official website, PeterGabriel.com, he said, "We'd assumed, as there are only three nominees, that the songs would be performed [in full]. But the producers came in to revamp it as audience figures were falling off. "One of the things they've decided to cut is the songs. So we've only been offered 65 seconds as part of a medley. So I've now decided to withdraw from the ceremony. "I do think it's a bit unfortunate," he continued. "The songwriters are a very small part of the filmmaking process but we still work bloody hard and deserve a place in the ceremony." Joking somewhat, Gabriel called himself a "boring old fart" who can afford "to make a little protest." But he was quick to add that he would still attend the awards event as was "looking forward to it." The other nominated songs this year are both from the film Slumdog Millionaire: Jai Ho and O Sava. No word yet on who will replace Gabriel in the medley. So far, there has been no comment from the Academy onthe singer's exit. Perhaps they can get Vampire Weekend?